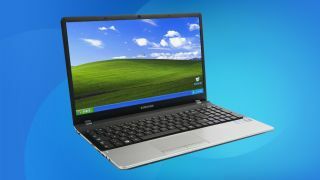 Windows XP remains popular among government agencies after details emerged of the US Navy paying millions to extend support for the outdated OS. First reported by PC World, a declassified Navy document detailed a $30.8 million (around £19.5 million, or AU$39.95 million) contract signed with Microsoft to continue supporting the OS until 2017 at a cost of $9.1 million (around £5.78 million, or AU$11.81 million) per year. "The Navy relies on a number of legacy applications and programs that are reliant on legacy Windows products," according to a statement from Steven Davis, a spokesman for the Space and Naval Warfare Systems Command in San Diego. "Until those applications and programs are modernized or phased out, this continuity of services is required to maintain operational effectiveness." Alongside Windows XP, it is also receiving support for another soon to be extinct product, Windows Server 2003, as well as Office 2003 and Exchange 2003, although Davis failed to disclose details of the systems that are still using the software. The US Navy is by no means the only governmental organization running Windows XP long after its expiry date. The UK government, for one, relies on keeping Windows XP going and that's even with the per-PC price for Microsoft's custom support agreements (CSAs) for XP, which are on track to rise to $400 (around £259, or AU$511) in the coming months. End of support for Windows XP: what are the options?